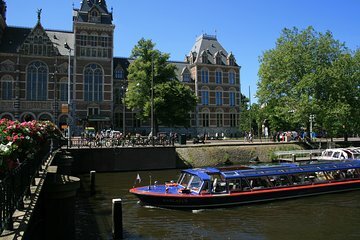 Experimente um cruzeiro pelo canal e os tesouros do Rijksmuseum de Amsterdã em um dia com este ingresso combinado que permite economizar dinheiro. Beba na vista dos canais protegidos pela UNESCO de Amsterdã em um cruzeiro de 75 minutos, passando por imponentes moradias do século 17, pontes, igrejas e ruas de paralelepípedos arborizadas. Acople seu cruzeiro com acesso sem fila ao espetacular Rijksmuseum, uma vitrine de arte e história holandesa desde a Idade Média até o presente. Passe pelas linhas da entrada principal e explore as coleções como desejar, vendo obras-primas como o "Night Watch" de Rembrandt e exposições fascinantes sobre a história holandesa. Desfrute de um cruzeiro panorâmico de 75 minutos nos canais de Amsterdã, listados pela UNESCO. A nice, mellow cruise along the canals with a final stop at the museum, where you wander on your own. Relatively inexpensive, well worth the money. Finding the correct boat line was a bit of a challenge in an unfamiliar city, but our canal tour was relaxing and informative, and the museum amazing. Well worth doing! We did the canal cruise upon arriving on an overnight flight exhausted and confused, the canal cruise was perfect for overview a nice relaxing moment. It gave us a really good orientation with how to proceed with our vacation. Skip the line tickets for Rijks was a MUST. We saved so much time!! Highly recommend this or any with additional skip the line tickets! Tour was great, museum was great, but I didn't realize I had to pick up my vouchers at a certain location. So, when I got to the museum, I had to pay for tickets anyway. Moral of the story, read and understand the small print. Did not have a great experience with this skip-the-line tour first, it was not clear from the voucher that we needed to go to the tour company to get our Rijksmuseum ticket. It says that the voucher will be accepted as a ticket, but the museum did not accept it. Big waste of time to then go over to the tour operator, get the ticket, and then you still have to wait in line to actually get into the museum-- all you bypass is the ticket line which is pointless, because you still have to pick the ticket up. The museum itself is phenomenal, and the canal cruise was great too, just be aware that you have to book your canal cruise time as well, you cannot just walk up and present your voucher and hop on a boat. 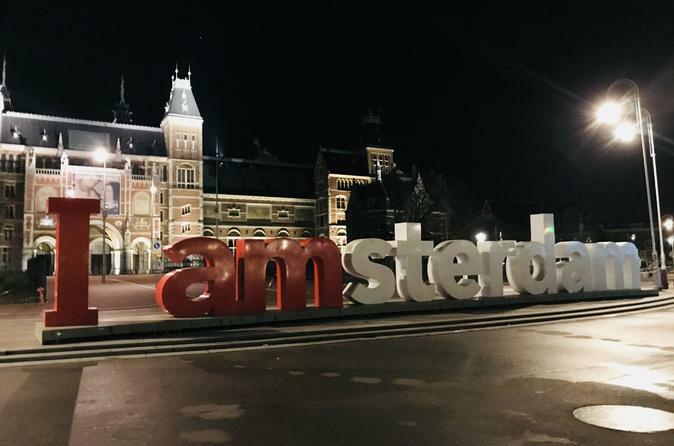 This was a wonderful overview over Amsterdam for a single day trip... it was most appreciated and I would sincerely recommend.